IHWO is run by a highly skilled and motivated team of volunteers and paid staff. People with various backgrounds, work disciplines and experience make up the team – all are united in their dedication and commitment to serving the needs of the community. IHWO is lead by the Management Committee, which is made up of 12 committee members. The Management Committee takes the ultimate responsibility for making decisions on the organisation’s operation. Various sub-teams, each with a Team Leader, have been established and report to the Management Committee. 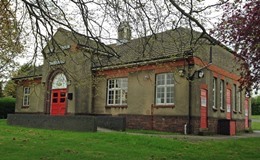 A strong team of staff, including a Community Development Officer, is also in place and helps to organise and deliver IHWO’s various activities. 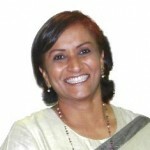 Neelam Aggarwal MBE – Chairperson. Neelam Aggarwal-Singh MBE DL holds an impressive working portfolio as a Co-Founder, Director and Chief Spokesperson for various organisations. She has been involved with NIFF for several years and has previously been a Non-Executive Director with various NHS Trusts. Neelam also held positions as a Vice-Chair of the PCT, a Lay Member of the Lord Chancellor Advisory Committee, Trustee of Interfaith Network and Co-Chair of the BME SRP . She has worked tirelessly for over 25 years to provide outstanding leadership and services to the community. She also was awarded the very first “Inspirational Woman of the year in 2013” in celebration of the International Women’s Day. 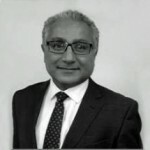 Danny Parmar – Committee Member – Project Management Committee. Danny has been a committee members since 2009 and his main responsibility is to lead on the Kutumb Centre Project. With his background in the construction industry and having a logistical mind-set he is well placed with this role. Danny brings a lot of energy and enthusiasm in a professional manner with his work for IHWO. He is not only dedicated to the successful delivery of the Kutumb Centre Project but also to the IHWO’s values of providing a ‘cradle to grave’ service for the Hindu community of Northampton. 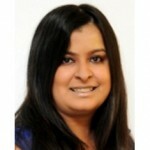 Rupal Shah is a member to IHWO having joined the Committee in October 2010. She has organised and hosted a 3 day summer camp for the youth in 2011. 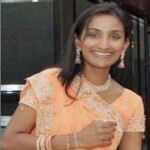 Looking after funding applications and supporting Gujarati school are her focus areas currently within the committee. She works as a Project Manager within the logistics industry and hopes to use her broad expertise to help IHWO achieve its objectives. Rupal has a keen interest to integrate with the local community. Chhotubhai Mistry – Committee Member – Religious & Cultural. Chhotubhai has been one of the first members of the Hindu Community to move into Northampton. He is a valued member of the Committee and the community. His leadership role within community has been a vital part in events and activities. 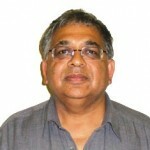 Manubhai Mistry – Committee Member – Fundraising. 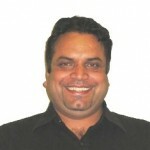 Manubhai is an active member of the committee. He also plays a vital role in supporting events and activities. 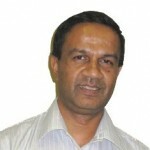 Kamlesh Haria – Committee Member – Website. 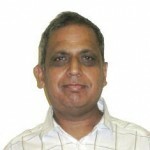 Kamlesh joined the IHWO committee in 2011. He is the main leader for the IHWO website who has helped create it and continues to develop and maintain it. He has also setup the IHWO Facebook Group. Jashwantbhai Mistry – Committee Member – Voluteers. Jashwantbhai has recently joined the IHWO Committee. He plays an active role with all the activities and events which takes place and manages the volunteers at major events. Paramjeet Singh – Committee Member. Paramjeet has been a long-standing, committed and proactive member of the committee. He plays a vital role in supporting the organisation with various events and activities and helping with the logistics of projects and events. 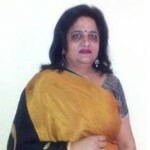 Rona Karavadra – Committee Member – HR Sub Committee. Sejal Karavadra – Committee Member. Sejal Karavadra is a Director and the Head of the Immigration Department at DBS Law Ltd. As a qualified Solicitor Advocate, Sejal has a number of years’ experience in the immigration field and has represented a large number of individuals and organisations. Sejal started her career at the Home Office in the Immigration Directorate and is able to draw upon this experience and expertise to advise on all aspects of immigration law. Working closely with the DBS Heart project, Sejal has set up free legal advice clinics around the UK advising on immigration issues, in partnership with the local Citizens Advice Bureaus and the local community. Sejal regularly exhibits at various events and takes an active role in promoting her organisation. Sejal sits on the committee of the charitable organisation UK Asian Women’s Centre. Sejal has also recently been appointed a Trustee at the Charity – LawWorks, which aims to provide free legal help to individuals and community groups who cannot afford to pay for it and who are unable to access legal aid. Sejal joined IHWO’s management committee in July 2012. Her immigration and marketing expertise further strengthens the IHWO team. 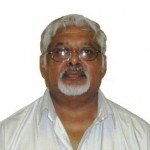 Surendra Malhotra – Committee Member. 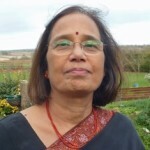 Surendra started her career in teaching and has worked with various voluntary organisations such as Dostiyo and Social Services. During her time at Dostiyo she set up a group for Asian women experiencing isolation, depression and mental health problems and a mother and toddler group. At Social Services she worked with children and their families. At present she works as a volunteer with Home Start, Voice Ability, and in the past volunteered at Community Law Service. Surendra is a committed professional and individual and is very interested in supporting the vulnerable members of the community and identify support services for them and their families through the Kutumb Centre Project. Surendra is keen to support with the fundraising and raise the profile of the Kutumb Centre project with the community and is looking forward to making a contribution to the much needed project in Northampton.